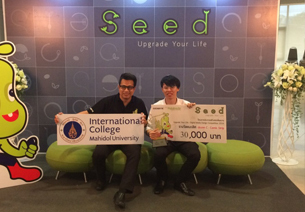 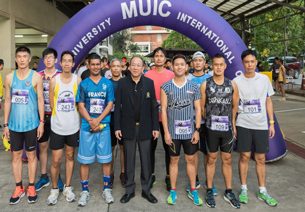 Mahidol University President Clin. 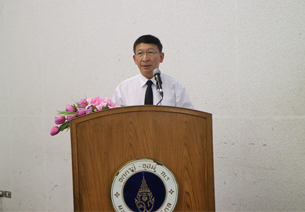 Prof. Udom Kachintorn, MD, presided over a homage-paying ceremony in front of the statue of H.R.H. 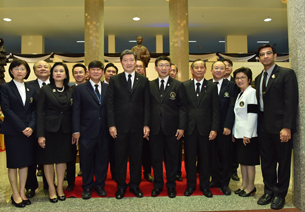 Prince Mahidol of Songkla to mark the institution’s 48th anniversary of being royally named after him and 129 years of its existence on March 2, 2017 at Office of the President Building, Salaya. 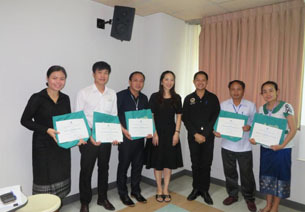 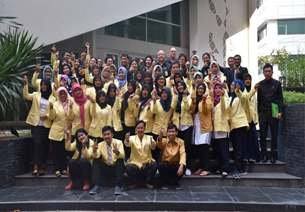 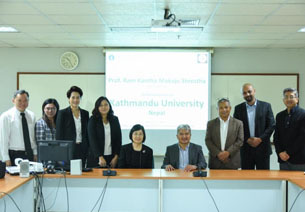 The ceremony was attended by members of the university administration, faculty and administrative staff; students; and heads of local administrative offices in Phutthamonthon District. 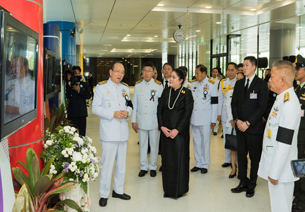 The late King Bhumibol Adulyadej conferred the name of his Royal Father to the then University of Medical Sciences on March 2, 1969. 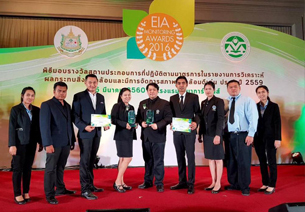 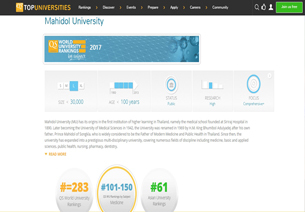 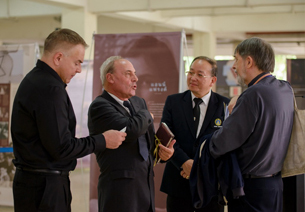 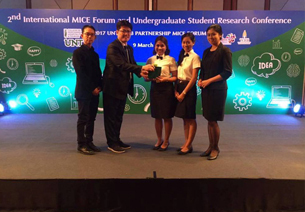 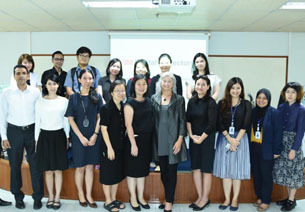 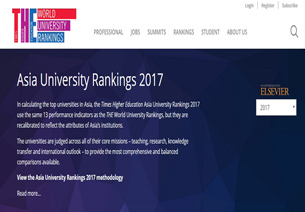 Since then the university has continuously increased the breadth and depth of its education programs and research excellence in response to the needs of Thai society and to build a strong foundation for becoming a world-class university. 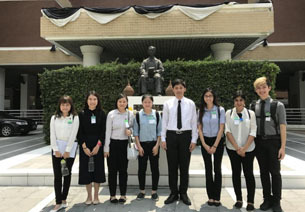 Other highlights of the celebration in the morning included an exhibition titled “The King’s Words: An Embodiment of Wisdom of the Land”; a keynote address on “Medicine and Public Health 4.0” by Clin. 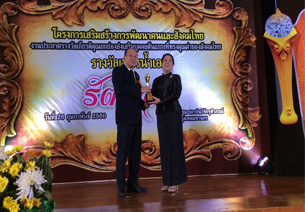 Prof. Piyasakol Sakolsatayadorn, MD, the Minister of Public Health and former MU president; a merit-making ceremony dedicated to H.R.H. 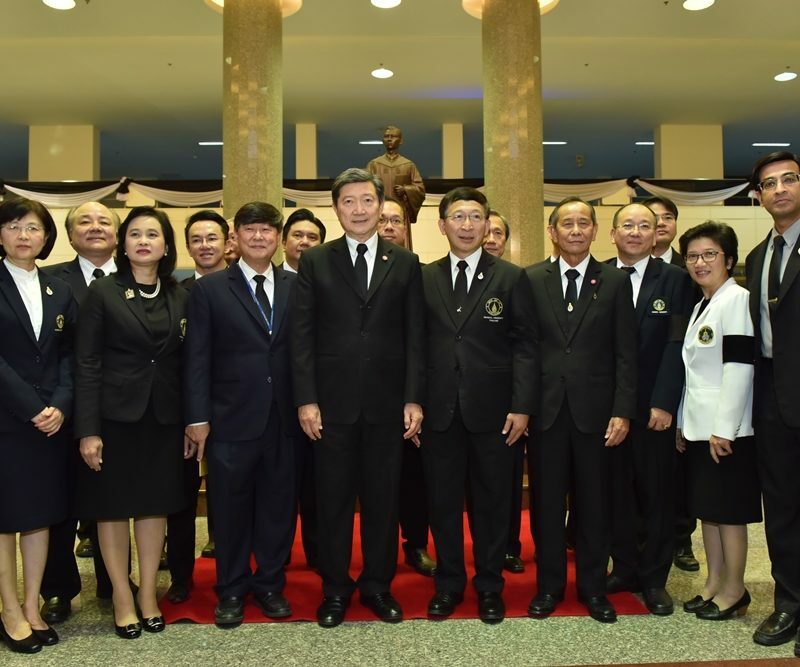 Prince Mahidol of Songkla; and a gratitude ceremony for elder Mahidol teachers. 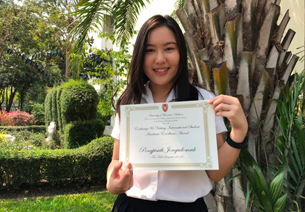 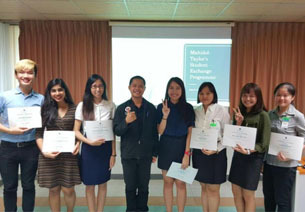 The afternoon program featured a ceremony to present various honorary awards including Khon Dee Sri Mahidol (Moral Gems of Mahidol), Mahidol Thayakorn (Outstanding Alumni), Giver, Exemplary Teachers, and Inventors with Patented Inventions. 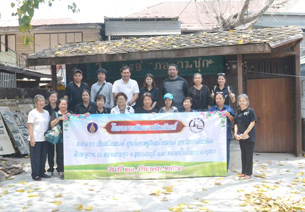 Visitors also got free medical services including checkups, dental services, flexibility tests, examinations for osteoarthritis of the knee and frozen shoulder, blood sugar tests, breast examination, traditional Thai massage, Thai traditional medicine, traditional Chinese medicine, acupuncture, consulations on dengue fever vaccination, nutrition and herbal medicine.